We want to bring locals and visitors together to exchange their experiences and recommendations. The partners that we have chosen are proven by our staff to be trustworthy and safe. Mostly they are local Prague based companies that share the same values as we do at the Bohemian Hostels & Hotels. By supporting local companies and young entrepreneurs you are making the difference in the tourism field. Besides these partners, we do have much more to see and experience. Just turn to our helpful staff who are more than willing to share their tips and suggestions how to get around and how to get a discount on different activities. 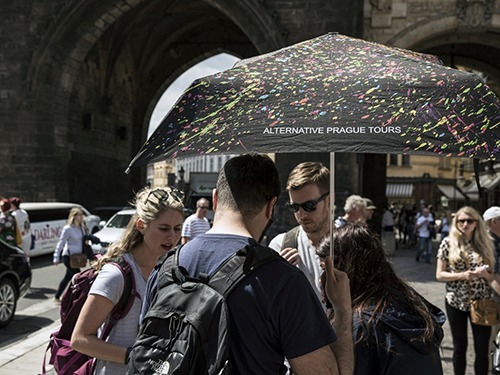 This is popular free tour for everyone who is keen on exploring the sights of Prague. Our guides are entertaining and ready to share their personal highlights and secret tips about the city and the places. The tour is tip-based, so feel free to tip the tour guide based on how much you liked his tour. Pick up at reception every morning. Are you an adrenaline junkie and want to do something else than a guided city tour around the city? Then SKYDIVING over the landscape of the Czech countryside is the right activity for you. 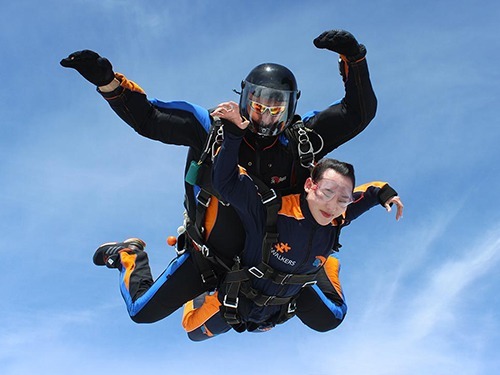 With reliable and professional staff you can be sure to be taken care of the whole tandem jump. Ask for shooting activities, too! 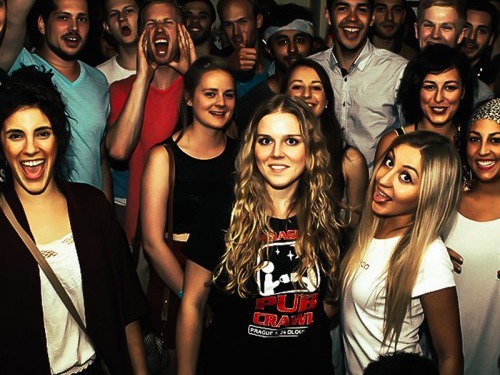 With the most famous Prague pub crawl, you will be guaranteed of having an unforgettable time with other travellers. 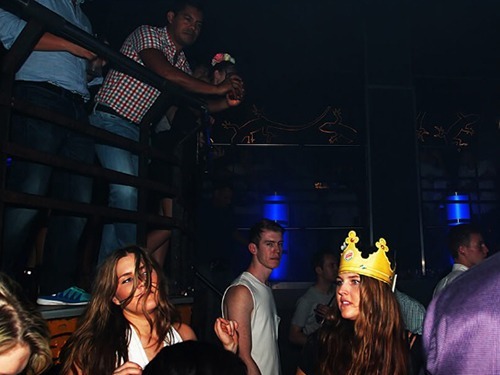 The tour will take you to visit three of Prague’s hottest venues. Not to forget that you don’t have to pay extra for the entry fees after joining the crawl. And as the grand final, you will be guided to Karlovy Lazne, the biggest nightclub in Europe (see below for more information on single entry). Karlovy Lázně, the biggest music club in Central Europe right next to Vltava River and the Charles Bridge, serves all music fans since 1999. 5 Floors of Entertainment wait for you! Try ICE PUB within the same building, too! At - 7°C, all consist of frozen water-walls, tables, sculptures and even your glass. Also ask at the reception for a special extra drink voucher valid during your day-time visits. Need a shuttle from or to the airport (or any other part of the city)? We’ve got a right partner for you. Book online or at the reception desk in advance. We have a safe and reliable taxi service for you, too. Book simply at the reception. With Liftago app you can order the taxi you like. This will give you the opportunity to choose your professional driver and the car, based on your needs and the previous reviews. NEED A BUS TICKET TO YOUR NEXT DESTINATION? 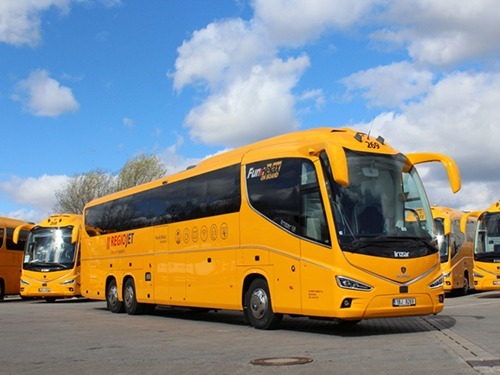 We recommend you to use the services of the Czech-based company Regiojet offering a high quality bus and train national and international services. Their modern fleet will surprise you with the service on board, hot drinks included in the price, entertainment portal and plugs by each seat. And that all for very affordable prices! If you don't find a connection you need, you can also check FlixBus services. 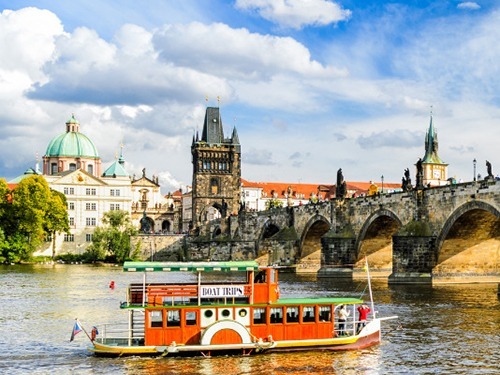 There is a big number of buses arriving and departing to and from Prague every day! This tour will take you to the coolest areas that are full of young artistic energy, creative artist, and genuine culture. For example Holesovice which used to be back in the days an old industrial area. You can also join a graffiti workshop alongside the local street artist and leave your mark behind to look back on. These guys are biking specialist in both mountain and road biking. Not only they offer biking tours in the forest paths, but also running tours, guided winter sports like cross-country skiing, hiking, snowboarding and even river surfing. The small company wants to perform their best and keep the biko adventures personalized. PRAGULIC: HOW IS IT TO BE HOMELESS IN PRAGUE? When you are looking for something completely different for your visit in Prague. Experience the city . The aim of the tour is to get to know what is life like living on the street and fighting for your existence on an everyday basis. 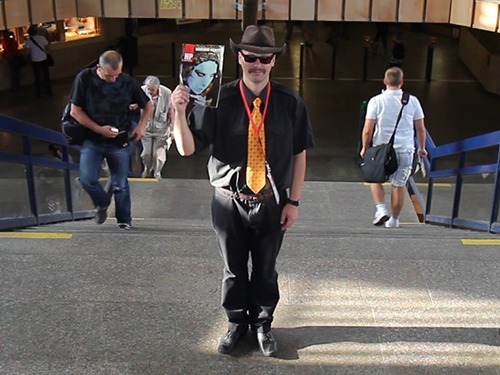 These genuine tour guides are opening the doors between two different worlds. If you want to experience something different than just the touristic paths, Prague Urban Adventures is the right choice! Have you always wanted to visit the landscape where the Chronicles of Narnia were filmed? Are you into hiking? 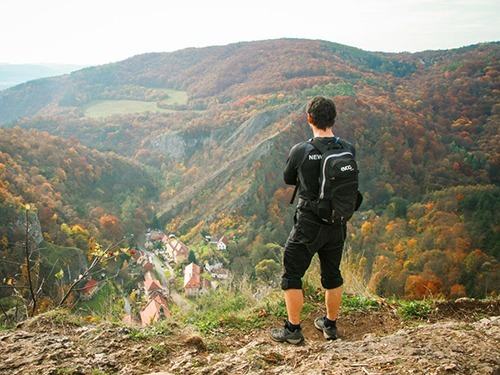 Do you want to explore one of the Czech most beautiful national parks? 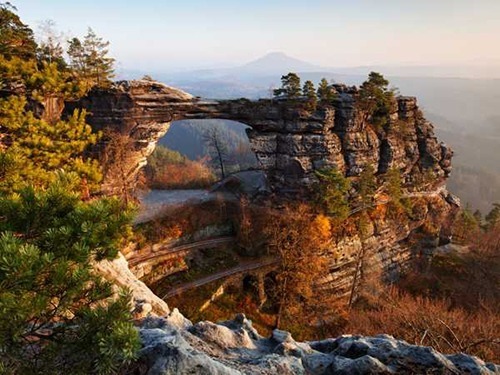 Escape the crowded Prague and enjoy the nature which the beautiful Bohemian Switzerland has to offer. 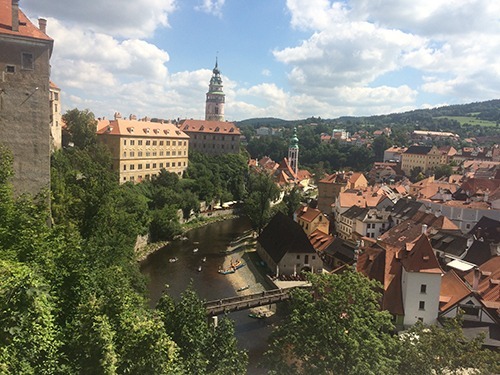 The full-day trip starts with a pickup from Prague and includes daily meals, too. 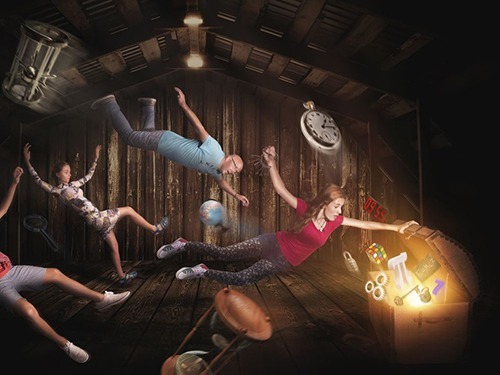 Prague offers a multiple choices of different escape rooms challenging your brain and your skills to solve problems within a team. They are taking you on a journey that will test your skills to think fast and react even faster. 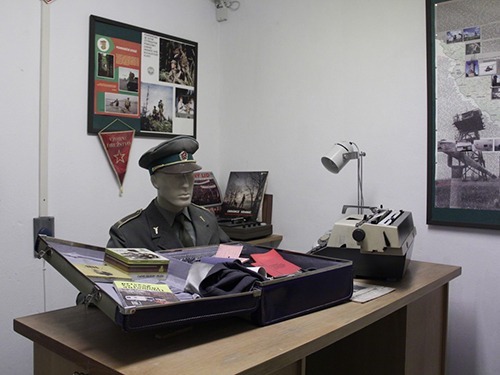 Grab your friends and family get out of a nuclear bunker, solve the mystery of Enigma or be part of Prague legends! 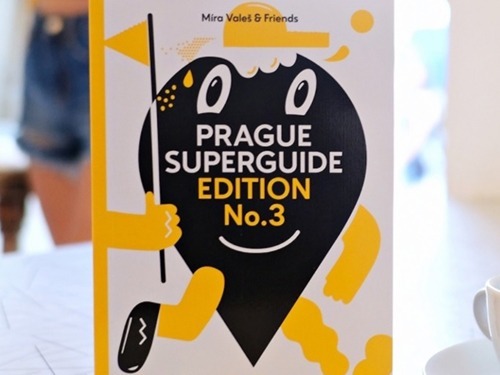 Prague Super Guide and GreenGlasses are great books when you want to explore the city by yourself and have some guidance from a locals who are experts in this. GreenGlasses is an inside guide to all the locations; shops and restaurants that provide some eco friendly products or services. These books will make your trip. If you are interested in getting ideas, tricks and tips what to do or where to go we have a special customized map for you. Our staff has gathered some of their favourite places, restaurants, bars, and sights that you don’t wanna miss. 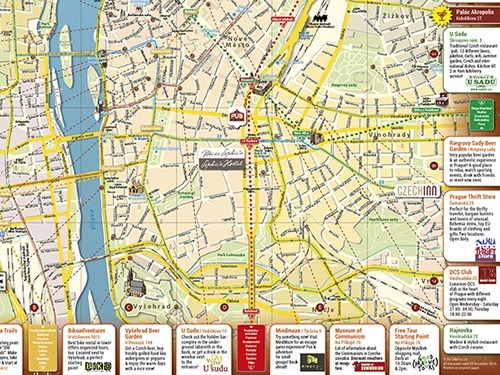 These customized maps are available in a printed version given upon check-in and can also be found online.